OTTAWA -- Green Party of Canada leader Elizabeth May called today for a re-politicization of the climate movement and for a major public mobilization during the one month lead-up to the UN’s Framework Convention on Climate Change 16th Conference of the Parties. The meeting will be held in Cancun, Mexico, on November 29, 2010.
reporting the lowest pressure ever recorded in a U.S.
non-coastal storm, 955 mb. Image credit: NASA/GSFC. Fueled by fossil fuel pollution, an unprecedented, freak “land hurricane” swept through the continental United States, leaving a path of devastation from Saskatchewan to Texas — while the Republican Party has been taken over by a hurricane of science denial. Yesterday a rapidly intensifying storm, a “bomb”, spun up directly over the MN Arrowhead, around mid afternoon a central pressure of 953 millibars was observed near Orr. That’s 28.14? of mercury. Bigfork, MN reported 955 mb, about 28.22? of mercury. The final (official) number may be closer to 28.20-28.22?, but at some point the number becomes academic. What is pretty much certain is that Tuesday’s incredible storm marks a new record for the lowest atmospheric pressure ever observed over the continental USA. That’s a lower air pressure than most hurricanes, which is hard to fathom. The storm front — also dubbed the “Chiclone” for the bizarreness of having a cyclone-like system over Chicago — drew its power from a sharp temperature contrast between record warmth in the southeastern United States and average cold in the north. Thus this record stormfront, though it exhibited hurricane-like power, is unlike actual hurricanes that derive their power directly from heat trapped in the ocean. Update: Wunderground puts the stormfront into more historical context; there have been comparable storms along the Atlantic coast, but never in the Midwest. They also remind us that a less-powerful storm in January shattered low-pressure records in the Southwest. More than 100 representatives of environmental NGOs and local communities meeting in Penang, Malaysia denounced the role of governments and corporations in biodiversity loss, deforestation and the failure of governments to meet the targets set to halt biodiversity loss under the Convention on Biological Diversity (CBD). These representatives called for an immediate halt to the destructive projects being promoted by governments and corporations that enter communities under the guise of development but instead bring environmental destruction and serious human rights violations. “Despite being the UN’s International Year of Biodiversity no meaningful progress has been made at the international level to ensure a halt or even a slow-down to biodiversity loss and environmental degradation,” said Isaac Rojas, international forests and biodiversity coordinator for Friends of the Earth International (FOEI), speaking at the Friends of the Earth Asia Pacific conference on Forest, Biodiversity, Community Rights and Indigenous Peoples. Loss of ecosystems perceived by banks and insurance companies to be a greater economic risk than terrorism, finds UN report. The financial risks posed by the loss of species and ecosystems have risen sharply and are becoming a greater concern for businesses than international terrorism, according to a United Nations report released today. From over-depletion of fish stocks and soil degradation caused by agricultural chemicals to water shortages and mining pollution, the paper – commissioned by the UN Environment Programme and partners – said the likelihood has climbed sharply that declines in biodiversity would have a "severe" $10bn (£6bn) to $50bn impact on business. With the European Union and other regions increasingly holding companies liable for impacts on ecosystem services, it suggests banks, investors and insurance companies are starting to calculate the losses that could arise from diminishing supplies, tightened conservation controls and the reputational damage caused by involvement in an unsound project. Targeting: Board and Staff of 1Sky. 3) Coalesce these communities towards a common agenda that is manifested from locally defined strategies to state and national policy objectives through to international solidarity agreements. NAGOYA, Japan, Oct 25, 2010 (Tierramérica) - Delegates to the world summit on biodiversity here are calling for a moratorium on climate engineering research, like the idea of putting huge mirrors in outer space to reflect some of the sun's heating rays away from the planet. Climate engineering or geoengineering refers to any large-scale, human- made effort to manipulate the planet to adapt to climate change. Representatives from Africa and Asia expressed concern about the negative impacts of geoengineering during the opening week of the 10th Conference of Parties (COP 10) to the United Nations Convention on Biological Diversity (CBD), Oct. 18-29. They were joined by civil society organisations in calling for a moratorium on geoengineering experiments. 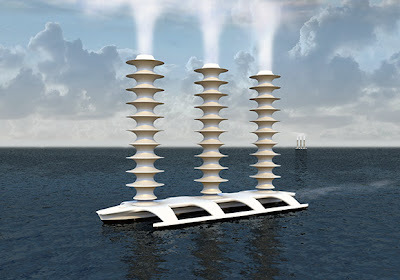 The geoengineering proposals include installing giant vertical pipes in the ocean to bring cold water to the surface, pumping vast amounts of sulphates into the stratosphere to block sunlight, or blowing ocean salt spray into clouds to increase their reflectivity. Natasha Peters and Padraic O'Brien, October 25, 2010, Ottawa - Members of Climate Justice Ottawa, dressed as Big Oil representatives hiding behind green masks, will be at the Chateau Laurier on October 25th at 5:30pm. They will be denouncing this new false dialogue as yet another attempted greenwashing tactic by the Canadian Association of Petroleum Producers (CAPP) to promote the Tar Sands as a sustainable source of energy. On October 25th and 26th, CAPP, in collaboration with the Canada School of Energy and Environment, will be meeting in Ottawa with various hand-picked stakeholders to continue their “National Oil Sands dialogue”. For years now, CAPP has been trying to hide the harsh realities of the Tar Sands by building a green facade. But behind this facade, the problems remain. “The bottom line is that the oil industry only seeks to expand its operations and maximize profit for its shareholders”, says Natasha Peters of Climate Justice Ottawa. Held in multiple cities across Canada, these CAPP led “false-dialogues” are part of a vast public relations campaign which includes billboards to falsely promote the Tar Sands as sustainable. Some of these can be found on the streets of Ottawa. Tar sands development is on track to destroy a section of Canada's boreal forest the size of England. The rapidly increasing carbon pollution from this mega-project and other global sources is fueling climate change, which already results in the deaths of an estimated 150,000 people each year and threatens upwards of 70% of the planet's species with extinction. Climate Justice Ottawa, a group of concerned community members, is calling for the federal government to take serious action on climate change, to implement an immediate moratorium on tar sands expansion, and take the role of affected First Nations communities seriously in deciding the future of this megaproject. The amount of land being taken in Africa to meet Northern countries’ increasing demand for biofuels is underestimated and out of control, new investigations by Friends of the Earth reveal today. The research, which looked at 11 African countries, found at least five million hectares of land – an area the size of Denmark – is being acquired by foreign companies to produce biofuels mainly for Northern markets. 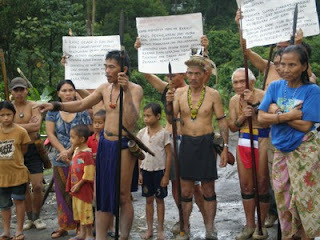 The practice – known as land grabbing – is increasing and is dominated by European and Chinese companies. However with official public information largely absent, current figures are likely to be only a snapshot and gross underestimates. The report, ‘Africa: Up For Grabs’ reveals how local communities are having their land taken and there are few safeguards for local community land rights. Forests and natural vegetation are being cleared, and biofuels are competing with food crops for farmland. This important question formed the core of the statement by members of the Conventtion on Biological Diversity Alliance at the mid-term plenary last Friday. The similarities between the 15th Conference of the Parties of the Framework Convention on Climate Change and the 10th Conference of the Parties of the Convention on Biodiversity are striking. In both cases, the main purpose of the meeting was to agree upon a legally binding protocol that would give concrete guidance to one of the main objectives of the original Convention. UN climate talks discuss ways to expand the trading experiment, but the evidence suggests it should be abandoned. From subsidy shifting to regulation, there is a plethora of ways forward without carbon trading – but there are no short cuts around situated local knowledge and political organising if climate change is to be addressed in a just and fair manner. 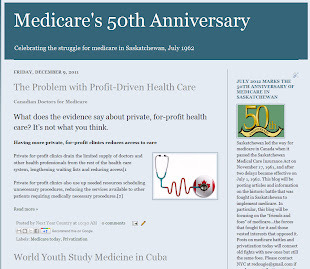 Read this PDF pamphlet HERE. 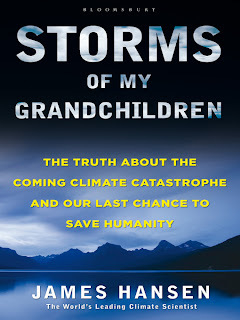 Book Review- James Hansen, Storms of My Grandchildren: The Truth About the Coming Climate Catastrophe and Our Last Chance to Save Humanity (New York: Bloomsbury Press, 2009), 320 pages, $25.00, hardcover. Today, with a quarter-century still remaining in this projected time line, it appears to have been too optimistic. Available evidence now strongly suggests that under a regime of business as usual we could be facing an irrevocable “tipping point” with respect to climate change within a mere decade. 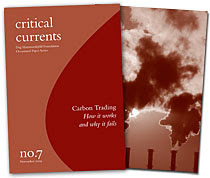 Other crises such as species extinction (percentages of bird, mammal, and fish species “vulnerable or in immediate danger of extinction” are “now measured in double digits”); the rapid depletion of the oceans’ bounty; desertification; deforestation; air pollution; water shortages/pollution; soil degradation; the imminent peaking of world oil production (creating new geopolitical tensions); and a chronic world food crisis—all point to the fact that the planet as we know it and its ecosystems are stretched to the breaking point. The moment of truth for the earth and human civilization has arrived. 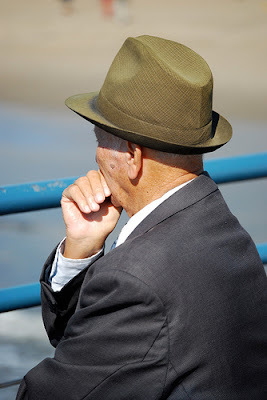 John Bellamy Foster is editor of Monthly Review and professor of sociology at the University of Oregon. Brett Clark is assistant professor of sociology at North Carolina State University. 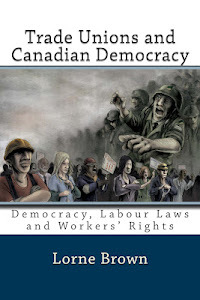 Richard York is coeditor of Organization & Environment and associate professor of sociology at the University of Oregon. Because of the sheer size of its economy and the degree of its material development, the United States has held the key to the world's problems for decades. And that in two opposite senses. 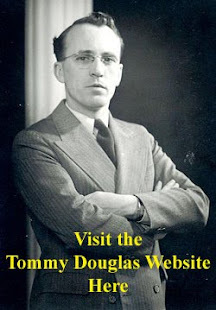 As the hegemonic imperialist power since World War II, it has blocked the progress of humanity, or rather attacked it, to defend its capitalist class interests. Yet, the United States working people share the same interest as the rest of the humanity and they are themselves victims of the same policies that have undermined the world progress. The key to the progress in the U.S., and indeed the world, is in the awakening of the American working people to the fact that the capitalist economy they work to perpetuate and the politicians they keep voting into office are responsible for these policies. These policies range from the longest U.S. wars in progress today to climate change. And yet, consciousness lags in the United States. Thus, the myth of American democracy perpetuates. How can a country where its citizens are not aware of the most pressing world problems, their causes and consequences, and possible solutions, can lay claim to be democratically run and presume to force its will on other nations with the claim to spread democracy? It is in this context that the findings of the Yale Project on Climate Change Communication (YPCCC) is important to review. Quite simply, human-centered governance systems are not working and we need new economic, development and environmental policies. The 2007 assessment report by the United Nations Intergovernmental Panel on Climate Change (IPCC) confirms that it is virtually certain that human activities (mainly through the use of fossil fuels and land development) have been responsible for the global warming that has taken place since the industrial revolution. Under current economic and social trends, the world is on a path to unprecedented ecological catastrophes. As the IPCC report was being released, new evidence emerged suggesting that climate change is taking place at a much faster pace and the potential consequences are likely to be far more dreadful than is suggested by the IPCC report. The current evidence suggests that the Arctic Ocean could become ice free in summertime possibly as soon as 2013, about one century ahead of what is predicted by the IPCC models. With the complete melting of the Arctic summer sea ice, the disintegration of the Greenland ice sheets may become unavoidable, threatening to raise the sea level by five meters or more within this century. About half of the world’s fifty largest cities are at risk and hundreds of millions of people will become environmental refugees. 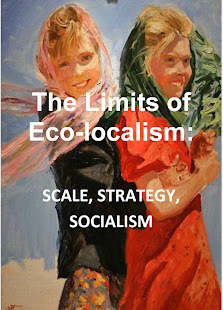 October 20, 2010 -- Links International Journal of Socialist Renewal, with the permission of Monthy Review Press, is excited to offer its readers an excerpt from the The Ecological Rift: Capitalism’s War on the Earth, an important new book by John Bellamy Foster, Brett Clark and Richard York. Links' are urged to purchase the book. Please click here to order your copy. You can download (PDF) the chapter, "The ecology of consumption", below the following introduction, or read it on screen. Humanity in the 21st century is facing what might be described as its ultimate environmental catastrophe: the destruction of the climate that has nurtured human civilization and with it the basis of life on earth as we know it. All ecosystems on the planet are now in decline. Enormous rifts have been driven through the delicate fabric of the biosphere. 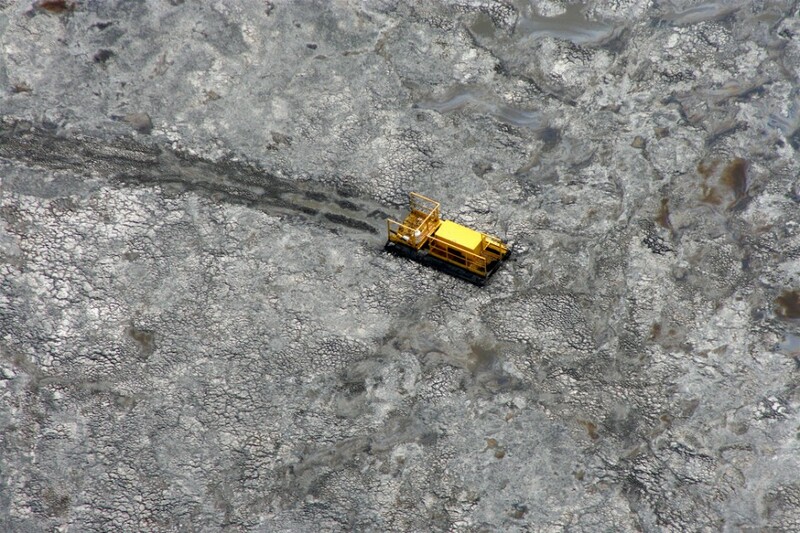 The economy and the Earth are headed for a fateful collision—if we don’t alter course. 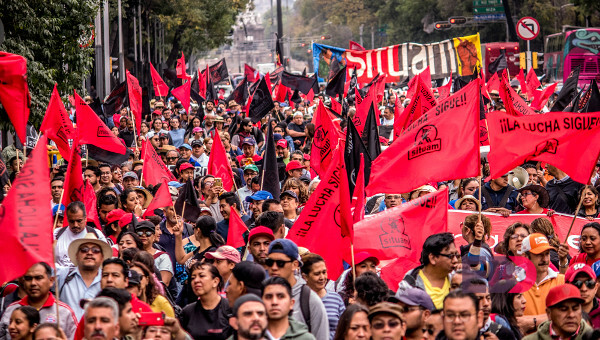 In The Ecological Rift: Capitalism’s War on the Earth, environmental sociologists John Bellamy Foster, Brett Clark and Richard York offer a radical assessment of both the problem and the solution. 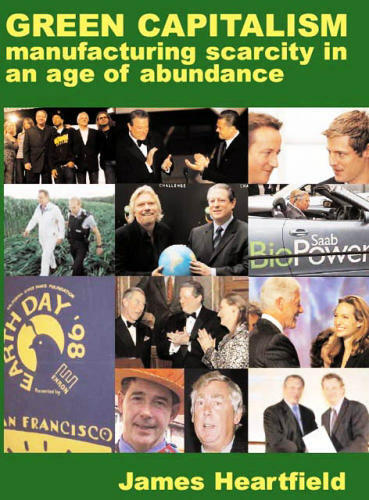 They argue that the source of our ecological crisis lies in the paradox of wealth in capitalist society, which expands individual riches at the expense of public wealth, including the wealth of nature. In the process, a huge ecological rift is driven between human beings and nature, undermining the conditions of sustainable existence: a rift in the metabolic relation between humanity and nature that is irreparable within capitalist society, since integral to its very laws of motion. Building a World Movement for Climate Justice, Teach In Sat Nov 13, 100 St. George St.
Grasslands National Park On September 23, 2010. The most comprehensive report ever on the state of Canada's biodiversity calls for action to ''maintain functioning ecosystems" from B.C. 's forests to the Prairies grasslands to the St. Lawrence River. The report, Canadian biodiversity: ecosystem status and trends 2010, was quietly posted on the web Friday by the federal, provincial and territorial governments for the Tenth Meeting of the Conference of Parties to the Convention on Biological Diversity (COP-10) which began Monday in Japan. Environment Canada, which routinely issues media releases about Minister Jim Prentice's activities and announcements, did not alert the public to the report, which has been years in the making and is the most detailed assessment ever on the status of Canada's landscape, wildlife and wild places. Environment Canada media officer Mark Johnson says posting such reports on the web "is a normal process, which demonstrates that the Government of Canada is committed to transparency and keeping the public informed on important work being done on conservation." Why are there so few Marxian engagements with environmentalism? The paucity of analysis is surprising given the contemporary prominence of environmental concerns within anti-capitalist discourse. John Bellamy Foster is one of the few thinkers to have devoted a concerted effort to excavating Marx’s discussion of the ‘metabolic rift’ of Capital’s relation to nature in light of these concerns. More critical – as in negative – takes on the subject seem to be markedly thin on the ground and treated as something of a taboo within leftwing circles. James Heartfield’s Green Capitalism is an exception that proves the rule. It is exceptional insofar as it presents a Marxian, materialist critique of contemporary ‘green capitalism’, emphasising class, labour composition, and the declining rate of profit. It affirms the rule, however, from the first glance: the book’s cover evidences no design investment; the layout betrays a lack of professional setting; and the patchy referencing could not have made it past any diligent sub-editor. In addition, it transpires that this is a print on demand publication, confirming the impression that one has in one’s hands a fringe artefact, or, worse, a vanity print. 1. Material Intake: How much and what types of material does making the product extract from the environment? 2. Material Output: How does the product end up putting materials back into the environment, in the form of manufacturing, product operation, and garbage/recycling wastes? 3. Energy Use: How much total energy does manufacture, use, and recycling of the product require? 4. Alternatives: How does the product in question perform in the above three areas versus available alternative means of performing the same type of work facilitated by the product in question? You may have already noticed that capitalists never publicly admit the existence and complexity of all four of these questions. That is for the obvious reason that capitalism is virtually impossible if these questions are taken seriously. Making big money almost always requires ignoring one or more of these questions, and the capitalist system as a whole is as heedless of ecological limits as just about any dystopian fantasy one could concoct. Doubt this? Then I would invite you to consider the emerging overclass proposition that cars with electric motors are green. 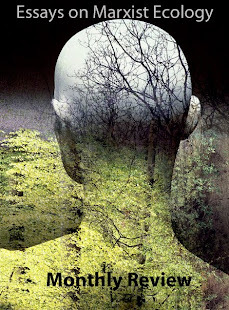 Does the individualization of environmentalism have any merits? Can it successfully co-exist with collective action? Environmental advertising (or “green” advertising) assures consumers that they can evoke positive environmental change by adopting simple habits and by purchasing green goods provided by companies (Maniates, 2001). These include wearing clothing made from sustainable fibres, consuming local and organic food, purchasing hybrid cars or choosing cosmetics made with natural ingredients. However, some environmental scholars such as Michael Maniates have criticized these actions as greenwashing which individualizes environmental problems. The tension at the heart of consumer culture is that it is a fragile system that cannot sustain itself indefinitely (Varey, 2001). The resources needed to extract, produce, transport, and advertise the products that consumers take for granted are being used up at an alarming rate, with devastating environmental costs. We all know this. Consumer culture has received ever-increasing blame for the environmental crisis, which marketing responds to with “green advertising”. 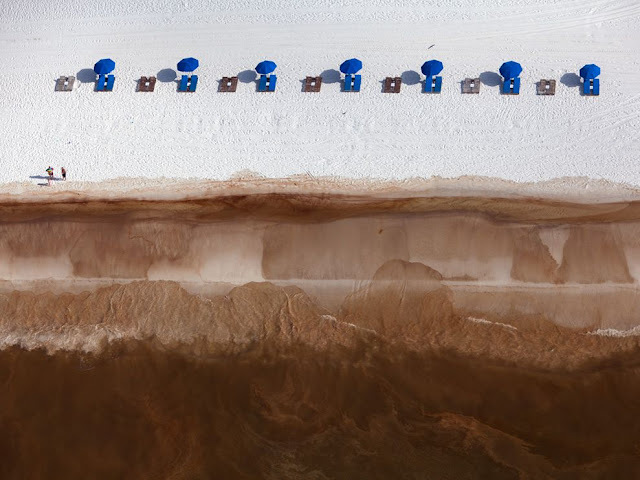 "Mix two parts sugar white sand with one part crystal blue water," reads a tourism slogan for Orange Beach, Ala. 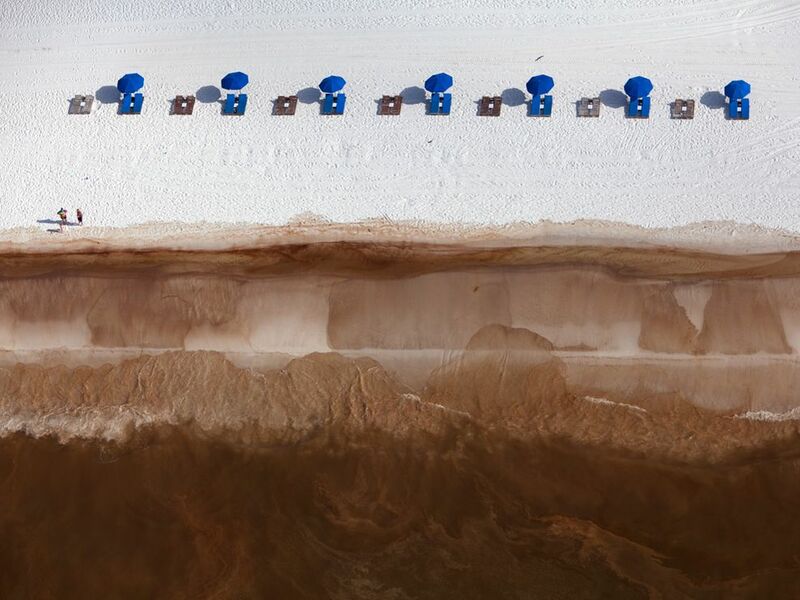 In early June Deepwater Horizon oil was added to the recipe. Will Africa end up paying for technologies that commodify life, or demand reparations for ecological damage done by the North, asks Patrick Bond. Let us accept Pat Mooney’s six theses about damaging new world trends: Loss of diversity; the threat of shock-therapy bio-engineering; the profusion of state-subsidised technological fixes (mainly unworkable); the disempowerment of those promoting ecologically- and socially-preferable alternatives; amplified state-corporate control over body politics and individual bodies implied by many of these fixes; and ‘corporatist’ politics at global and national scales directly linking state resources to crony-capitalist private profit. Accepting these premises and turning our attention to Africa, the questions posed in this article are: How do such zany schemes get funded by global capital and multilateral financial institutions? Can we derail the techie agenda with a defunding strategy, by cutting off the financial lifeblood? And following logically: If lack of finance is a barrier to achieving alternative visions, how then might we break that barrier? 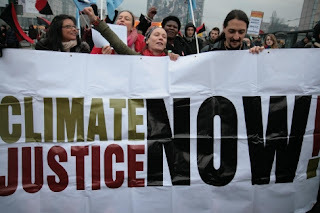 The most challenging case, in which the money will flow fastest and most inappropriately – and where the need for an alternative, fair and just financing arrangement is most acute – is the climate crisis. The rallies were organized by Climate Justice London, Ontario and The Latin American-Canadian Solidarity Association (LACASA). The event was part of the October 12th global day of action for climate justice, indigenous rights, and Latin American solidarity. The speaker in the video was telling us about County Mayo, in Ireland. Shell Canada is headquartered in Calgary. MONTREAL—Battle lines are being drawn as governments, environmental organizations and grassroots organizers are gearing up for the United Nations Framework Convention on Climate Change (UNFCCC) in Cancun, Mexico. On one side, nations from the Global North—including Canada—are setting up to push the agenda of the Copenhagen Accord, an agreement that emerged from last winter’s UN conference in Denmark—one that failed to establish any binding terms for carbon emissions reductions. 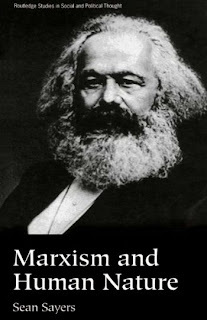 At a time when politicians, academics, and media pundits celebrate the demise of Marxism as a credible school of thought, and hegemonic "postisms" (e.g., poststructuralism, postfeminism, post-Marxism) have succeeded in producing a generation of young academics for whom everything (themselves included) is "socially constructed" and open to "deconstruction," in an endless game of shifting identities and "stories," a book about Marxism and human nature seems hopelessly outdated. Sayers' aim is to present and defend an historical account of human nature, its conditions of emergence, development, and fulfillment, and its moral and social implications. In the late 1980s I was quietly raising a family and pursuing a computer career in Vancouver, Canada. 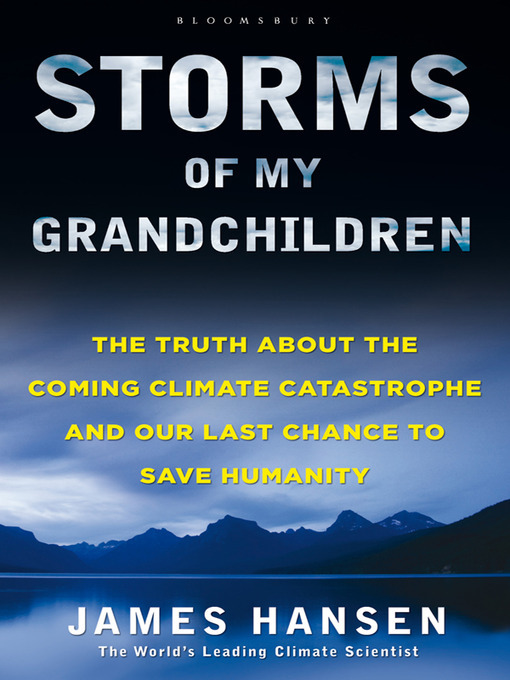 However, like many others, I was becoming increasingly alarmed by global warming and the clearcut logging that was devastating the forests of British Columbia. In 1989, while attending a rally to save an old-growth forest from the corporate saw, I heard David Suzuki thunderously denounce the world’s economists for their stupidity. He accused them of encouraging economic growth while ignoring ecological limits, thus causing irreversible damage to the environment. I soon put my career on hold, returned to university, and began to study this apparently destructive discipline. My journey to the revolutionary barricades had begun. "Not since the Romans salted the land after destroying Carthage has a nation taken such pains to visit the war on future generations", wrote Ngo Van Long of the US war against Vietnam. 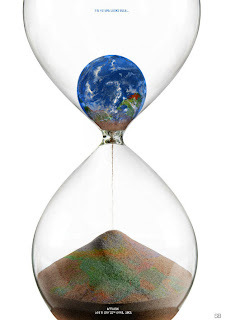 JOHN TULLY describes the ongoing ecological catastrophe. The suffering of Vietnam did not end with the liberation of Saigon in 1975. Perhaps no country since Haiti has come to independence under such adverse conditions — conditions which included environmental damage on a scale hitherto unseen in warfare. The damage was not the accidental by-product of war, but part of the attrition strategy which deliberately aimed to drive the peasants into the cities in order to deprive the National Liberation Front of a population and food base, and safe jungle havens. Water from a lake in Alaska is set to be pumped into ships, bottled in Mumbai, then sent to arid cities in the Middle East, in a commercial scheme that attempts to rectify some of the inequalities inflicted by the beginnings of climate change. There's trillions of litres of water in a three mile-long reservoir near a town called Sitka in the archipelago off the western coast of Canada. It's named Blue Lake, and fewer than 9,000 people live nearby, meaning that there's very little local pressure on the water supply. The acceptance of policies which counteract our interests is the pervasive mystery of the 21st Century. In the United States, blue-collar workers angrily demand that they be left without healthcare, and insist that millionaires should pay less tax. In the UK we appear ready to abandon the social progress for which our ancestors risked their lives with barely a mutter of protest. What has happened to us? 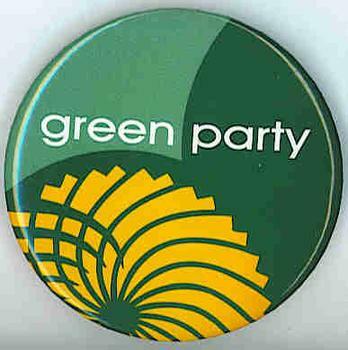 As we stand on the edge of apocalypse, we must wake up and acknowledge what the big greens are not saying is far more important than what they are saying. 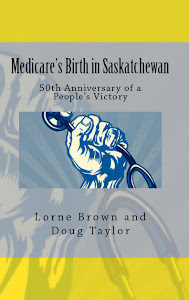 Excerpts from a controversial new book to be released 2010-2011. Article one in a series, we discuss the connection between environmental campaigns and their corporate sponsors. China is prevailing in the global race for green jobs in sectors from solar panels to advanced lighting, and appears to be on an unstoppable upward path, an annual report by cleantech research firm Clean Edge said on Wednesday. The Chinese government spent $34.6 billion last year to propel its low-carbon economy, more than any other nation and almost double what the U.S. invested. The country is now headquarters for six of the biggest renewable energy employers—up from three in 2008—according to Clean Tech Job Trends 2009. "With apologies to Simon and Garfunkel." Of people saying "it's just a theory" . . . Emergency workers are trying to stem the flow of burning red sludge that has engulfed three villages. More than 100 people have been injured, suffering from burns and eye irritation caused by the lead and other highly corrosive elements contained in the sludge. The spill is streaming from a burst waste reservoir at an aluminium plant and there are fears it may reach the river Danube, one of Europe's main waterways. Vpered: 1. What parts of the Marxist heritage clearly belong to the past, and which ones do you feel remain equally relevant today? 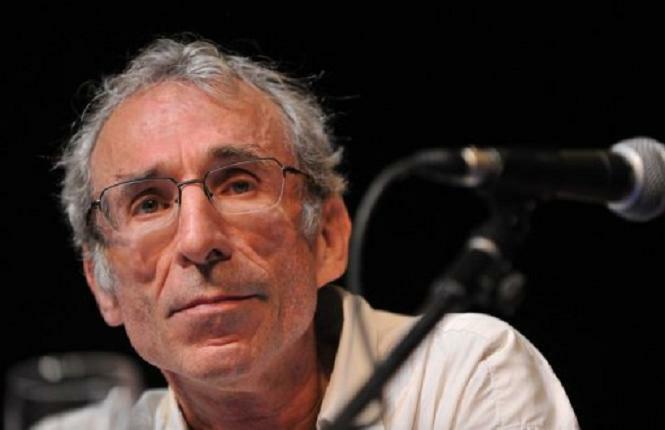 Daniel Bensaïd: I’d like to start by nuancing or differentiating the very idea of heritage. There isn’t one heritage, but many: an “orthodox” (Party or State) Marxism and “heterodox” Marxisms; a scientistic (or positivist) Marxism and a critical (or dialectical) Marxism; and also what the philosopher Ernst Bloch called the “cold currents” and “warm currents” of Marxism. These are not simply different readings or interpretations, but rather theoretical constructions that sometimes underpin antagonistic politics. As Jacques Derrida often repeated, heritage is not a thing that can be handed down or preserved. What matters is what its inheritors do with it –now and in the future. 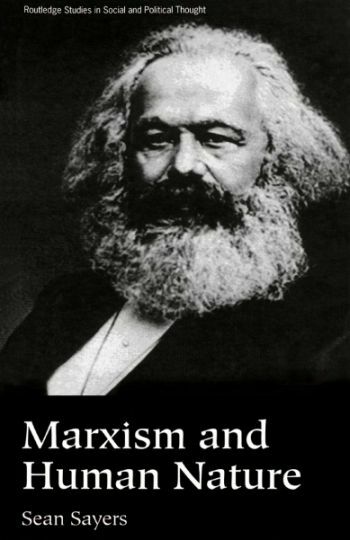 So, what is outdated in Marx’s theory? 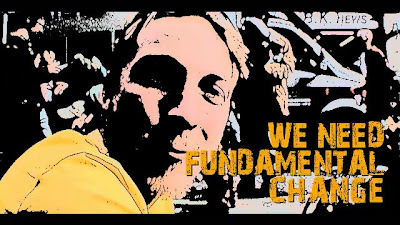 To begin with, I would mention a certain kind of sociological optimism – the idea that capitalist development almost mechanically brings about the growth of an ever-growing, evermore concentrated, evermore organized and evermore conscious working class. A century of experiences has made plain the scale of divisions and differentiations in the ranks of the proletariat. The unity of the exploited classes is not a natural given, but something that is fought for and built. In recent years, climate change seems to have elbowed out other environmental issues to become the No. 1 global problem. But the alarming problems of water -- increasing scarcity, lack of access to drinking water and sanitation, pollution, flooding -- are equally important and an even more immediate threat. On 28 July, the UN General Assembly in a historic decision recognised the right to water and sanitation as a human right. 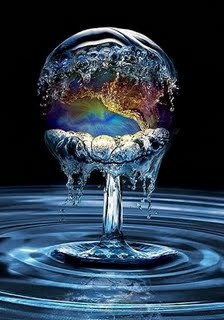 This is a fitting recognition of the crucial importance of water to the survival of individuals and the basis for development of nations and indeed the world. The extensive floods in Pakistan is also a current reminder of two things: the devastating impact of climate change on rainfall and the flow of water quantities; and the importance of properly managing water drainage, especially in the major rivers and waterways. 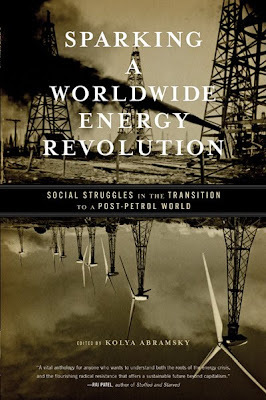 This review of Sparking a Worldwide Energy Revolution appears in the current issue of Red Pepper magazine. It's already been pulled from 10:10's website, but purely - judging by this half-baked apology - on the grounds of its style offending people. There's no hint of grasping that it's so bad because the politics stink. The problems of form derive from errors in content. The basic failure here is its perpetuating of the myth that reducing carbon emissions is primarily a matter of individual responsibility, thus depoliticising the whole issue of climate change as well as misrepresenting the reality of what drives it. There's no sense that some forces in society - the aviation industry, say, or oil mutinationals - might perhaps be disproportionately responsible. We aren't all equally responsible for causing climate change. We aren't all equal in suffering the effects, now or in the future. And we don't share responsibility equally for stalling the destruction of our climate. 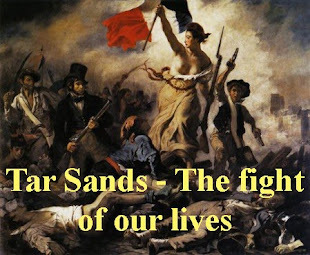 There is no indication that we may, in our millions, need to pressure the rich and powerful - and our elected representatives who tend to buckle to their interests - to deliver serious social and political action to avert environmental catastrophe. What I find especially nauseating is that in a number of the examples it's the higher-status individual - teacher, boss - who is enlightened about climate change while its their 'inferiors' - pupils, workers - who are ignorant and irresponsible. It is deeply snobbish and reinforces the mistaken idea that the elite is already 'on board' with tackling climate change, but now ordinary people need to be similarly convinced. Not only does it turn climate change into an individual responsibility issue, it reduces it to being simply about awareness. If only people understand the need to reduce their carbon footprint they will do so - and if they don't then they are backward, irrational, selfish. It's as if Richard Dawkins, not Richard Curtis, wrote and directed it. 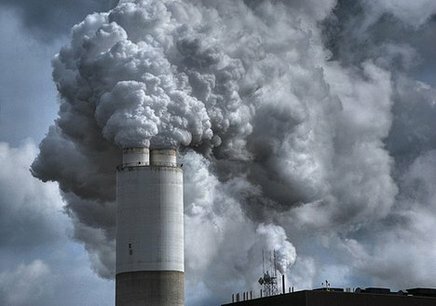 This is moralistic and judgemental, but it's also missing the point: corporations and governments know about the effects of climate change, and know what can be done in response, but the profit-seeking, competitive logic of the system acts as a massive pressure against them reducing emissions. They aren't willing to pursue actions or policies which conflict with economic interests. They put profit before people or planet. The deep political conservatism is what gives rise to the appalling smugness and contempt: it's so self-satisfied ('we are enlightended, we do our bit') and scornful ('some people just won't do their bit, the idiots'). This is likely to repel most people, propping up the right-wing climate deniers' steretype of environmentalists as moralising and superior. In fact it is a gift to the Right, an inexcusable own-goal. We shouldn't defend this patronising silliness, but instead articulate a better political case for climate action - and devise creative methods for persuasively conveying that case to millions of people. Yes, it is ordinary people who can save our planet, but not in the ways envisaged by 10:10. Collective social and political action, not individual 'solutions', is what we urgently need. The climate crisis in Bolivia is not a headline or an abstraction - it is playing out in people's lives in real time. Melting glaciers are threatening the water supply of the country's two biggest cities. Increasing droughts and floods are playing havoc with agriculture.